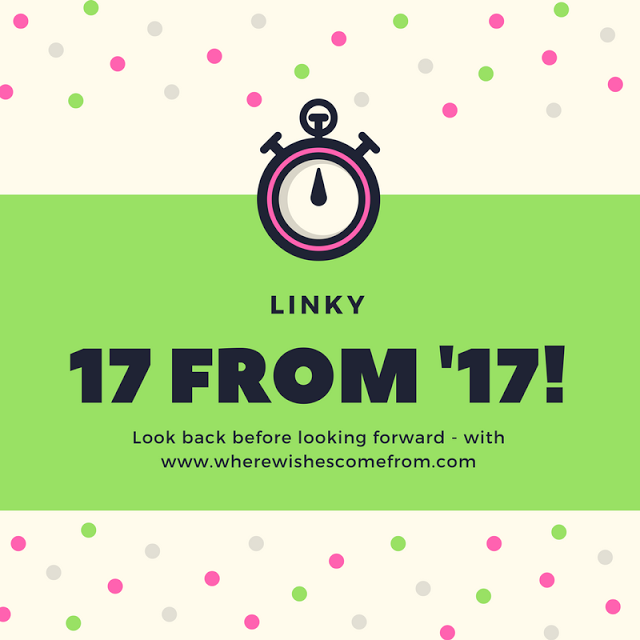 Each year, for the last number of years, I have joined in with the lovely Sadhbh from Where Wishes Come From to take part in her linky that looks back on the blogging year that was. I have to admit to really questioning taking part in this year’s linky. I have had probably the quietest, most banal of blogging years. That said what better way to restart the blogging engine than to take part in a linky and get my first post of the year published. So here goes! 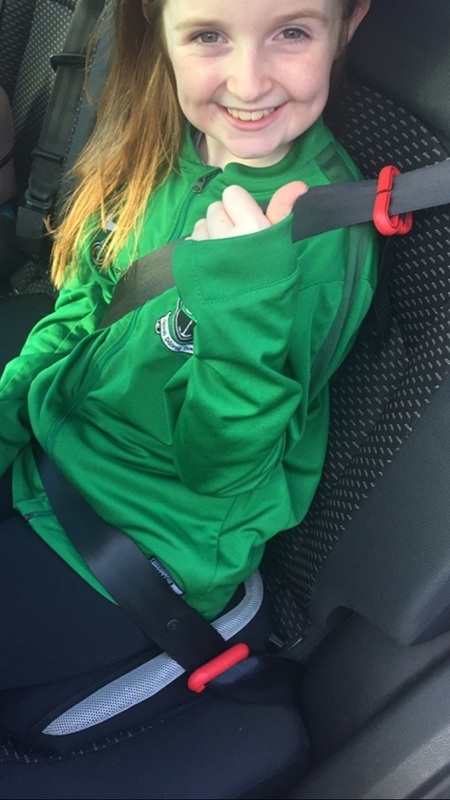 In a shocking turn of events, the consistently most popular post of the past number of years, my guide to C-sections, has been knocked off its top spot by another one from the archives; Five things to do for kids in Dungarvan, Co Waterford. My favourite post is my favourite because of what it meant in real life. 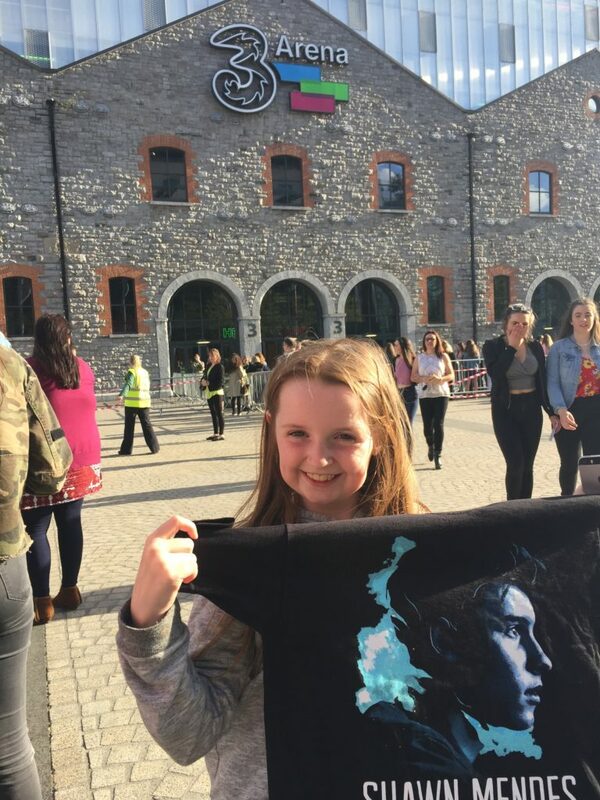 It is one about how my daughter learned a huge life lesson by being brave and attending the Shawn Mendes Concert one week after the terrorist attack at the Ariana Grande concert in Manchester. We had a great time and I am forever grateful to Shawn Mendes for his inspiring tweet which helped her overcome her nerves of attending. I am a bit erratic and inconsistent with posting photos. Some go on to Instagram, some directly to Facebook and some are saved for posts on the blog. One of my favourite photos of the year is this one of my then 5-year-old daughter doing a ski jump on our family ski holiday which I had posted to Instagram. If you are not following me there make sure you do! Our best adventure of 2017 was probably our ski holiday in Isola 2000 during the February mid term break. We had a fantastic time, loved the resort and I did intend to blog about our experience and the resort but it just didn’t quite get to publication stage by the end of the year. Given it’s ski season again I may just try to get it out early this year! In the mean time if you are thinking of getting a ski holiday under your belt check out the post I did manage to publish in 2017 about choosing the best ski resort for you. Probably the most common theme for 2017 was talking about stuff I am hoping to get to blog about. I am certain half my blog posts talk about posts that are coming are almost ready but didn’t quite get around to in 2017. Hopefully I will get to them in 2018! Like picking a favourite child, I just can’t do it. I love them all equally! At this point I am gratefully for any! Mwah! 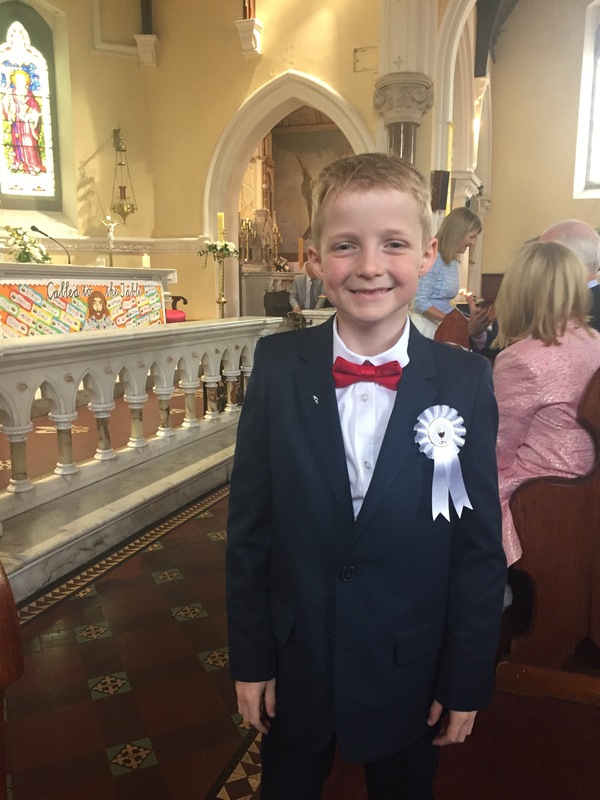 My favourite celebration in 2017 was my only son’s First Holy Communion. I didn’t blog about it specifically but I am certain I alluded to it in some post or other. It was a lovely day and I was immensely proud of him. I have to say I didn’t get offered many freebies in 2017 but one I did get offered and I loved was the Bubble Bum Inflatable Booster seat. It has gotten so much use and is genuinely a great product. I am happy to have fewer freebies if all the ones I do get are as good as this one. Sadly the highlight of blogging this year was pressing publish on a post! It happened so infrequently (I didn’t even manage 17 posts in 2017) that every time it happened I was only thrilled! But it is that thrill of pressing publish, that sense of completion and accomplishment that keeps me going and not totally closing down the blog altogether. I try to put things in perspective when it comes to blogging. At the end of the day it is only a blog and nothing majorly awful happened in 2017. Clearly not getting as many posts published as I had hoped is a little gutting, as is not making it to the shortlist of the blog awards having been a finalist a number of years ago. A real reality check that I need to up my game. I don’t claim to be the world’s greatest title writer. I liked my title “The black out (and other life updates)” as it was short, snappy and related to both an actual power cut and a lack of blogging. See what I did there? I had some really great non-blog moments. In a way I think my lower level of blogging meant I was out doing real world stuff a bit more. It’s really hard to pick one specific thing. My top three would be our family ski holiday, my son’s graduation and our family trip to Lanzarote. I feel so lucky to have been able to enjoy all of those things in 2017. The low point in 2017 has to have been the death of our lovely black cat Sammy. I blogged about the adoption of two little brother kittens a couple of years ago. They had settled brilliantly and were a massive part of our family. There are fields behind our house and they both loved to go and run and roam with a certain level of freedom as if wild but also be able to come back to our house and have all the cuddles and care of a domestic cat. They had the life. From a blogging point of view I have learned that my blog is not going anywhere and even if I don’t post as frequently as I like it is still there waiting for me; my little space on the internet that is mine to do with as I wish. I guess in broader terms I have learned not to get so het up about more minor things. 2017 is the first full year without my Mum and I guess I have learned that there are worse things than nearly everything I may have previously gotten irrationally annoyed about (that saying I still get irrationally annoyed about lots of stuff and I have a post coming on that soon!!). My biggest milestone in 2017 is a totally non blog related one and probably a big reason why my level of blogging fell particularly in the second half of the year and that is that we put our house on the market. I kicked off the year with a post considering whether or not we should stay in our house or make a move. 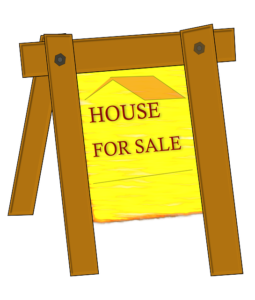 Having viewed and bid on a number of houses since summer we decided to put our house on the market and try to put ourselves in a strong position to get one of them. 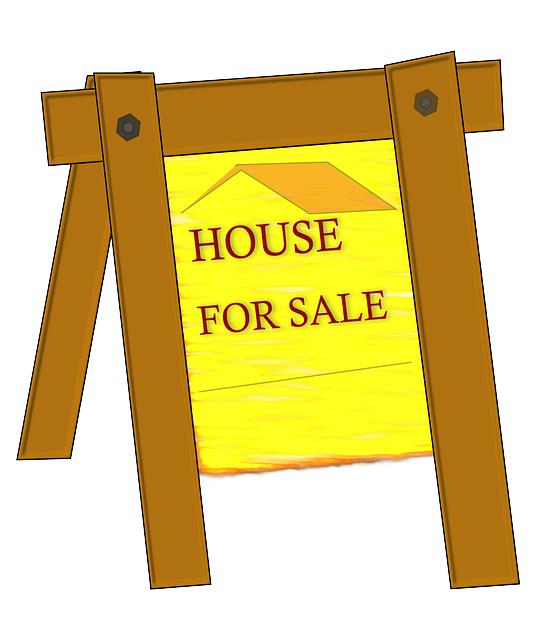 We have secured a buyer for our own house and now just need to pin down where we are going. There will hopefully be a big move on in 2018! Hopefully I’ll get to blog about it, either that or it will be another massive excuse for a floundering blog! If I am honest it didn’t do a lot. Bar stare at me longingly looking for some TLC! That said it is always nice to know it’s there and it gives me a feeling that I have achieved something. It is very easy as a Mother and our kids primary care giver to lose yourself a bit. The blog lets me sit at a laptop, type and use my brain like an independent adult. It gives me an outlet to a world away from kids and school runs and housework and for that I am grateful to it. There were no major surprises in 2017. It was a good year compared to the previous one and I was just happy that there was no major drama or upset. I wish all of my lovely readers a happy and healthy 2018!! Next step make sure to check out Sadhbh’s post and all the other entries in the linky by clicking here.